MiraCat is 100% Organic. 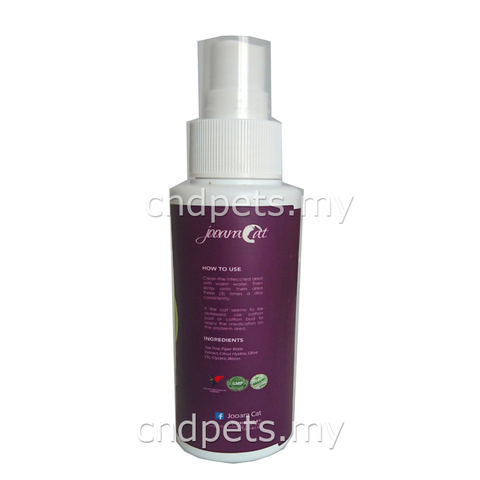 Aromatherapy Formulated. 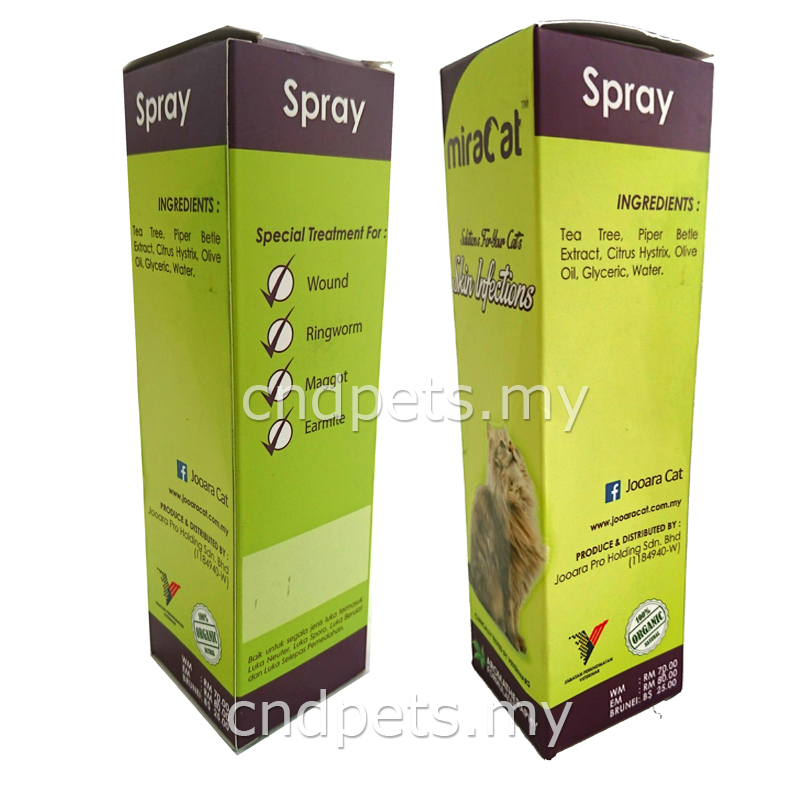 Clinically tested by veterinarians. Spray on the problem area 3 times per day. 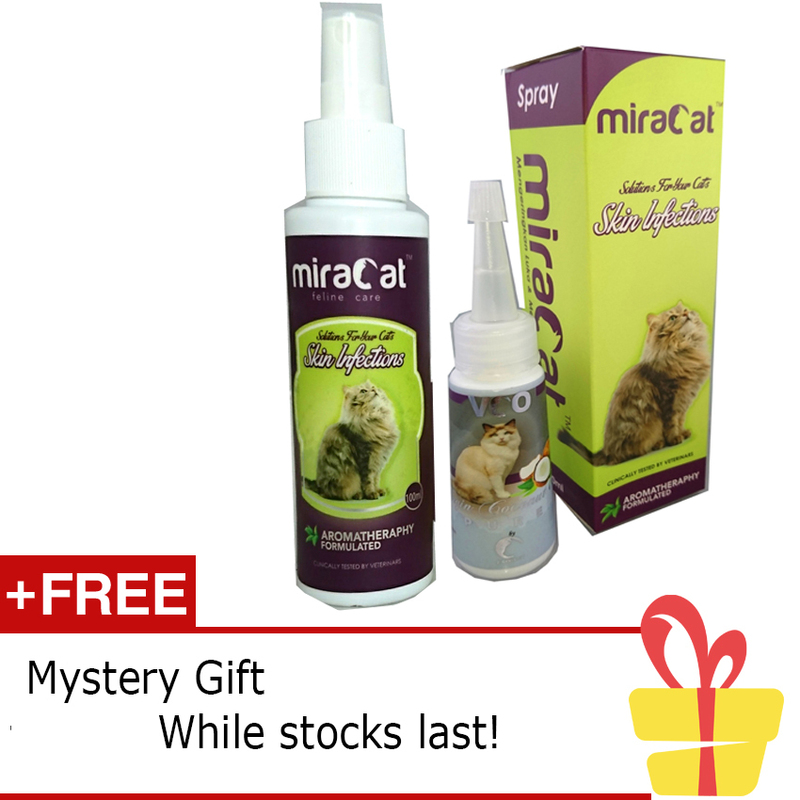 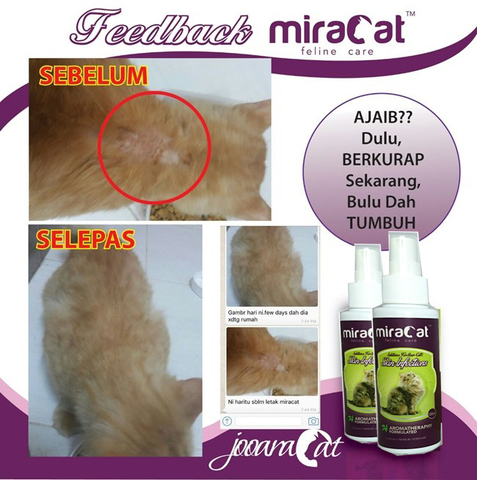 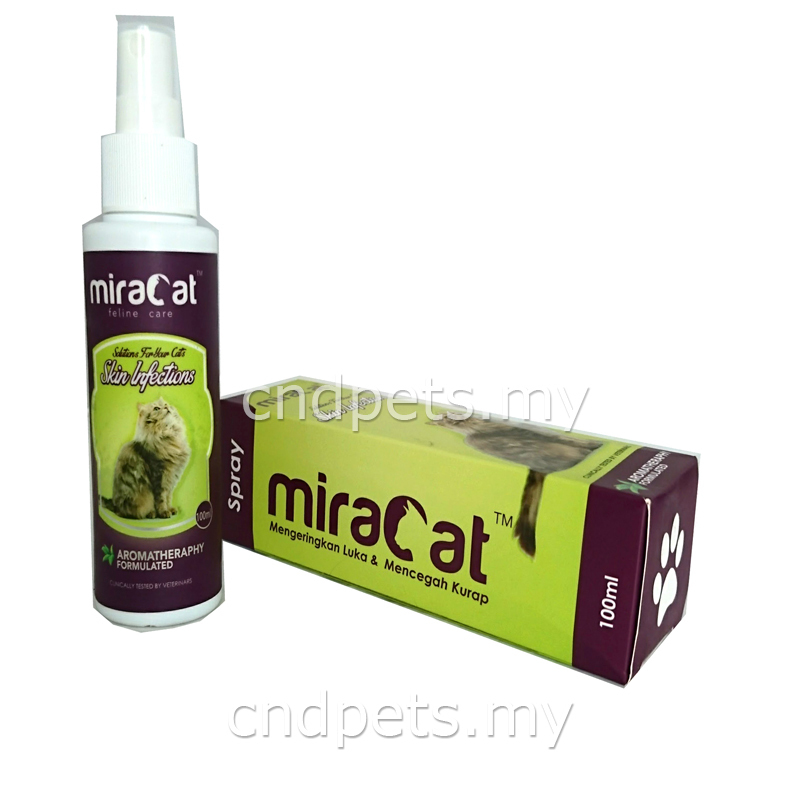 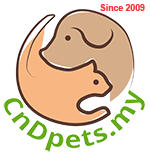 Use cotton bud to apply the medication if cat seems distress with the spray technique. Ingredients: Tea Tree, Piper Betle Extract, Citrus Hystrix, Olive Oil, Glyceric, Water.